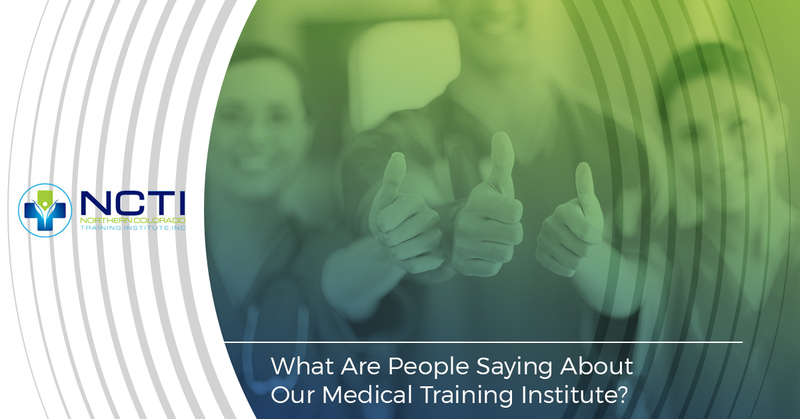 What Are People Saying About About Our Medical Training Institute? Northern Colorado Training Institute is here to provide the absolute best training possible to people all along the Front Range. We hire only the best teachers for our medical training center, those who have both experience in the classroom and real-world training. When you pass our classes, you’ll have the training to work with patients and the latest high-tech medical equipment. Of course, we could go on all day about how we feel we’re the best choice in CPR certification, first aid training, CNA programs, and more. But today we’re going to take a look at a couple of Google reviews and let our students let us know what they think about us. First we’re going to hear from Ashley. Thanks for writing in, Ashley! We were happy to work with you and help you further your career in the medical industry. We’re also so glad you that appreciated the extra work we put in to help you. Yes, it’s a business, but we’re also interested in providing Northern Colorado hospitals, clinics, and nursing homes with the best possible candidates for jobs so that they can help the citizens of the Front Range. Also, we’re glad you were made to feel at ease during classes. We know that attaining medical training and certifications can be a nerve-wracking time in life, and we try to make it as easy as possible on everyone who takes our classes. We also try to live out our “bedside manner” as much as possible, which is probably why you picked up on us being kind and caring. It’s a part of the job we like to practice and preach! Okay, now let’s see what Tiffany has to say about us in her Google review. Alright…fun! Medical training is a big deal and a serious business, but there’s really no reason why learning something new can’t be fun (as you’ve found out, Tiffany). We’re also so glad that you felt comfortable working with our staff. We’re glad that you enjoyed your time taking BLS training with us. Our goal from beginning to end is to ensure that each student has that “clear and confident understanding” that you mention, because when you take a class with us, we make sure that you’re ready to implement the practices effectively. If Tiffany and Ashley have convinced you that Northern Colorado Training Institute is right for you, we hope you’ll contact us about the medical training you’re interested in. We look forward to working with you!